Fast jet fighter capability is the ultimate projection of military power for air forces across the globe. Recent geo-political instability and tension in Eastern Europe has inspired the necessity of modernisation among the air forces of Central and Eastern European powers in order to reach NATO standards and contribute to the air policing activities in the region. Over the past two years, the Czech Air Force has begun talks with regional partners in the pursuit of a regional training centre for fast jet pilots where partners can pool their resources, knowledge and expertise to create a joint capability far greater than would otherwise be achievable independently. SMi Group are proud to announce that Fast Jet Pilot Training Central and Eastern Europe will be held again in Prague on the 5th and 6th June 2017 as a forum to exhibit and discuss recent developments in fast jet training technology as well as the activities and capabilities of participating powers. The aim of the conference is to encourage improved cooperation and interoperability among the air forces of regional allies in the pursuit of enhancing air force power in the region. Air Force Commanders, Chiefs of Training and Senior Officers looking to advance their fast jet capabilities. Fast Jet Pilot Training Central and Eastern Europe is the foremost event for Central and Eastern European fast jet training where operational commanders can meet with their regional and international counterparts to discuss capabilities and requirements. Fast Jet provides a unique opportunity for industry leaders to exhibit their products and services to relevant leaders and programme managers in a market of significant potential growth, thereby placing themselves at the forefront of decision making thought. I was born on 24th October 1967 in Baja Hungary. After secondary final examination in 1986, I attended “Kilián György” Aviation Technical College pilot speciality and I was sent to former Czechoslovakia where I took my degree in 1991. 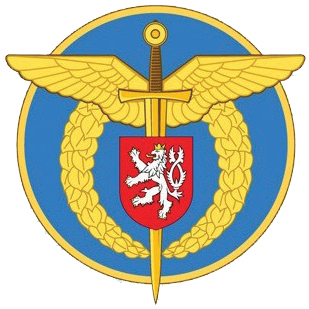 I started my career as a military pilot in Taszár at the 2nd “TURUL” tactical squadron where I served till 1996, when I was transferred to Pápa where I was a member of the 1st “GRIFF” tactical squadron till 2000 where I finished flying MiG-21. Then I was assigned to Kecskemét to the 1st “PUMA” squadron. In 2004 a new department was formed and I took a section chief position and became the chief of Flight OPS in 2008. I became deputy base commander in 2012 and on 11th May 2013 I was appointed commander of HDF 59th “Szentgyörgyi Dezso” Airbase. I have a proficiency level language examination in English, Czech and Slovakian. Second Lieutenant - 07 11. 1991. First Lieutenant – 01. 01. 1994. Captain - 01. 01. 1997. Major - 01. 01. 2002. Lieutenant Colonel – 01. 03. 2008. Lieutenant-Colonel Mike “Moose” Grover enrolled in the RCAF in 1991 and flew CF-18 Hornet combat/peace sorties in support of NATO Operations Allied Force, Echo and Noble Eagle; he is a graduate of the Fighter Weapons Instructor Course. In 2003, he was employed as a civilian BAE Systems Hawk fighter pilot instructor with the Royal Kingdom of Saudi Arabia. In 2009, he was posted to a NATO Targeting Staff Officer position in Heidelberg, Germany. Holding an A2 Instructor rating with over 3000 hrs, he is the Commanding Officer of 419 Squadron that runs the Hawk Fighter Lead-In Training for NFTC. Squadron Leader Tim Davies has been active in military fast jet flying training for the last decade and uses his experiences, as a Qualified Flying Instructor in the Tactical Weapons role, to speak and write extensively on Human Factors and the psychology of both the instructor and student pilot. From his background as a Tornado GR4 Electronic Warfare Instructor he combines understanding of the front-line operational task with the training of tomorrow's war-fighter to gain a deeper appreciation of the mechanisms of failure and how they can be used to enhance the performance of both the individual and the team. Mr. Bor is working at the Joint Information Systems Command of the Defense Materiel Organization of the Netherlands Ministry of Defense. Erikjan has 31 years of experience in the procurement of Simulation and Training systems. Projects start with advising the Netherlands Airforce staff how to write the operational requirements for Simulators and Trainers and ends with the end of the life of type of systems in Operation including the responsible disposal of old systems and components. His core competencies are Training Needs Analyses, Procurement project management and Total Costs of Ownership analyses and System management of Simulators and Trainers. Air Commodore Pete Round is a former RAF Buccaneer pilot. He has commanded the RAFs Basic Fast Jet Pilot School and Elementary Flying Training School. He was a board member for the UK Military Flying Training System and Senior Operator for the RAFs No 22 Training Group. More recently as Capability, Armament and Technology Director at the European Defence Agency he was responsible for nearly 200 programs at sea, on land and in the air including the multinational A330 Tanker acquisition and RPAS air traffic integration. Today he is a consultant in International Defence Relations specializing in the EU and NATO. 12:45 Current Trends and Capabilities in Simulated Flight Training Technology and What of the Future of Flight Simulation? View details AERO Vodochody AEROSPACE a.s. Sponsors and Exhibitors http://www.aero.cz Aero is historically the world’s largest jet training aircraft manufacturer with more than 11,000 produced aircraft and over 13,000,000 flight hours total log of the fleet – established in 1919. Aero produced more than 6,700 own design jet training aircraft - 70% of the world production, operated in 60 countries. View details CAE Sponsors and Exhibitors http://www.cae.com CAE is a global leader in delivery of training for the defence & security, civil aviation and healthcare markets. We design and integrate the industry's most comprehensive training solutions, anchored by the knowledge and expertise of our 8,500 employees, our world-leading simulation technologies and a track record of service and technology innovation spanning seven decades. Our global presence is the broadest in the industry, with 160 sites and training locations in 35 countries, including our joint venture operations, and the world's largest installed base of flight simulators. Each year, we train more than 120,000 defence and civil aircrew, as well as thousands of healthcare professionals. CAE's Defence & Security division focuses on helping prepare our customers to develop and maintain the highest levels of mission readiness. We are a world-class training systems integrator, offering a comprehensive portfolio of training centres, training services and simulation products across the air, land, sea and public safety market segments. We serve our global defence and security customers through four regional operations in Canada; the United States/Latin America; Europe/Middle East/Africa; and Asia/Pacific, all of which leverage the full breadth of CAE's capabilities, technologies and solutions. View details Leonardo Sponsors and Exhibitors http://www.leonardocompany.com/ Leonardo Aircraft Division is part of Leonardo, one of the top ten global players in Aerospace, Defence and Security and Italy’s main industrial company. As a single entity from January 2016, organised into business divisions (Helicopters; Aircraft; Aero-structures; Airborne & Space Systems; Land & Naval Defence Electronics; Defence Systems; Security & Information Systems), Leonardo operates in the most competitive international markets by leveraging its areas of technology and product leadership. Listed on the Milan Stock Exchange (LDO), Leonardo has a significant industrial presence in Italy, the UK and the U.S.
View details Body Armor News Supporters http://www.bodyarmornews.com With over 150,000 unique visitors a year, BodyArmorNews.com is the world’s Number One dedicated website for businesses and individuals that want to stay informed on the most recent developments in the body armor industry. ?If you are looking for information regarding body armor or a possible supplier then you need to visit our website. View details Int J of Aerospace Systems Science & Engineering Supporters www.inderscience.com/ijasse IJASSE provides an international, peer-reviewed forum which focuses on system-level research and development regarding astronautics and aeronautics. The journal emphasises the unique role and increasing importance of informatics on aerospace. It fills a gap in current publishing coverage between outer space vehicles and atmospheric vehicles by highlighting interdisciplinary techniques, presenting systematic mechanisms and assembly integration and verification (AIV) techniques from a bionic point of view. View details International Journal of Multimedia Intelligence and Security Supporters http://www.inderscience.com/ijmis IJMIS is an international, fully refereed research journal which integrates the disciplines of intelligent computing, information security, biometrics, multimedia processing, communication and applications. View details Military Simulation and Training Magazine Supporters https://militarysimulation.training For more than 30 years MS&T Magazine has been the leading simulation and training publication for the defence industry and remains the only publication entirely dedicated to simulation and training in the military. Published 6 times per year, each issue typically carries at least five major articles, an industry news and analysis wrap-up, coverage of recent events, an industry calendar and more, including the coveted MS&T Industry Awards. Live, virtual and constructive (LVC) simulations, gaming and immersive, VR training systems amongst the many other topics covered. Make sure you sign up for our weekly newsletter on our website. View details MS LINE Supporters http://www.msline.cz Our production focuses on promoting defence and security industry at home and abroad and on improving the communication among the public and state administration and defence and security industry of the Czech Republic. Basis of the production are prestigious catalogues, bulletins and magazines: Catalogue of the Security and Defence Industry of the Czech Republic, Catalogue of the Association of Defence and Security Industry of the Czech Republic, Review for defence and security industry, magazines IDET NEWS, CDIS Review, profiles of Czech and foreign companies, etc. The Czech capital is where tradition meets modernity. Located on the left side of the river Vltava, in the modern quarter of 'Andel', andel's by Vienna House Prague is situated in Prague's bustling 5th district. Getting here couldn't be easier, thanks to the hotel's close proximity to bus and tram stops and 'Andel' metro station. One of the best shopping centres in the city, with over 130 shops and restaurants, is equally close by. Aero is historically the world’s largest jet training aircraft manufacturer with more than 11,000 produced aircraft and over 13,000,000 flight hours total log of the fleet – established in 1919. Aero produced more than 6,700 own design jet training aircraft - 70% of the world production, operated in 60 countries. CAE is a global leader in delivery of training for the defence & security, civil aviation and healthcare markets. We design and integrate the industry's most comprehensive training solutions, anchored by the knowledge and expertise of our 8,500 employees, our world-leading simulation technologies and a track record of service and technology innovation spanning seven decades. Our global presence is the broadest in the industry, with 160 sites and training locations in 35 countries, including our joint venture operations, and the world's largest installed base of flight simulators. Each year, we train more than 120,000 defence and civil aircrew, as well as thousands of healthcare professionals. CAE's Defence & Security division focuses on helping prepare our customers to develop and maintain the highest levels of mission readiness. We are a world-class training systems integrator, offering a comprehensive portfolio of training centres, training services and simulation products across the air, land, sea and public safety market segments. We serve our global defence and security customers through four regional operations in Canada; the United States/Latin America; Europe/Middle East/Africa; and Asia/Pacific, all of which leverage the full breadth of CAE's capabilities, technologies and solutions. Leonardo Aircraft Division is part of Leonardo, one of the top ten global players in Aerospace, Defence and Security and Italy’s main industrial company. As a single entity from January 2016, organised into business divisions (Helicopters; Aircraft; Aero-structures; Airborne & Space Systems; Land & Naval Defence Electronics; Defence Systems; Security & Information Systems), Leonardo operates in the most competitive international markets by leveraging its areas of technology and product leadership. Listed on the Milan Stock Exchange (LDO), Leonardo has a significant industrial presence in Italy, the UK and the U.S.
IJASSE provides an international, peer-reviewed forum which focuses on system-level research and development regarding astronautics and aeronautics. The journal emphasises the unique role and increasing importance of informatics on aerospace. It fills a gap in current publishing coverage between outer space vehicles and atmospheric vehicles by highlighting interdisciplinary techniques, presenting systematic mechanisms and assembly integration and verification (AIV) techniques from a bionic point of view. With over 150,000 unique visitors a year, BodyArmorNews.com is the world’s Number One dedicated website for businesses and individuals that want to stay informed on the most recent developments in the body armor industry. ?If you are looking for information regarding body armor or a possible supplier then you need to visit our website. Our production focuses on promoting defence and security industry at home and abroad and on improving the communication among the public and state administration and defence and security industry of the Czech Republic. Basis of the production are prestigious catalogues, bulletins and magazines: Catalogue of the Security and Defence Industry of the Czech Republic, Catalogue of the Association of Defence and Security Industry of the Czech Republic, Review for defence and security industry, magazines IDET NEWS, CDIS Review, profiles of Czech and foreign companies, etc. For more than 30 years MS&T Magazine has been the leading simulation and training publication for the defence industry and remains the only publication entirely dedicated to simulation and training in the military. Published 6 times per year, each issue typically carries at least five major articles, an industry news and analysis wrap-up, coverage of recent events, an industry calendar and more, including the coveted MS&T Industry Awards. Live, virtual and constructive (LVC) simulations, gaming and immersive, VR training systems amongst the many other topics covered. Make sure you sign up for our weekly newsletter on our website.